To create a cohesive, well-designed poster highlighting all of the events and happenings surrounding design week for the 2015 AIGA 5-O Awards, Onward looked inward. 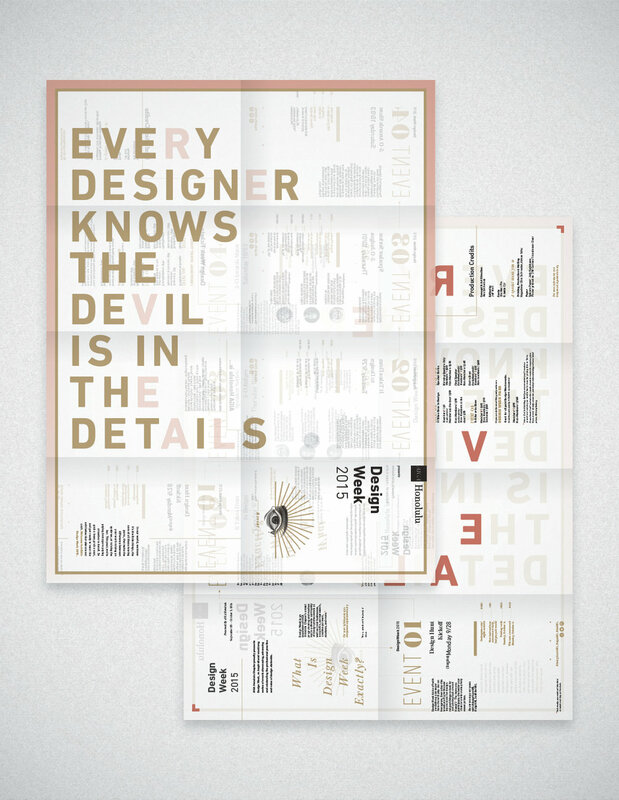 What we found, as is true of so many projects, is that the devil lived in the details. The project was meant to be read by fellow designers and industry contemporaries affiliated with AIGA, which meant it carried extra weight. After all, designing for your fellow contemporaries is never easy. However, when all was said and done, we were extremely proud of the project and honored to design a piece for local creative and hope that they enjoyed reading it as much as we enjoyed making it. 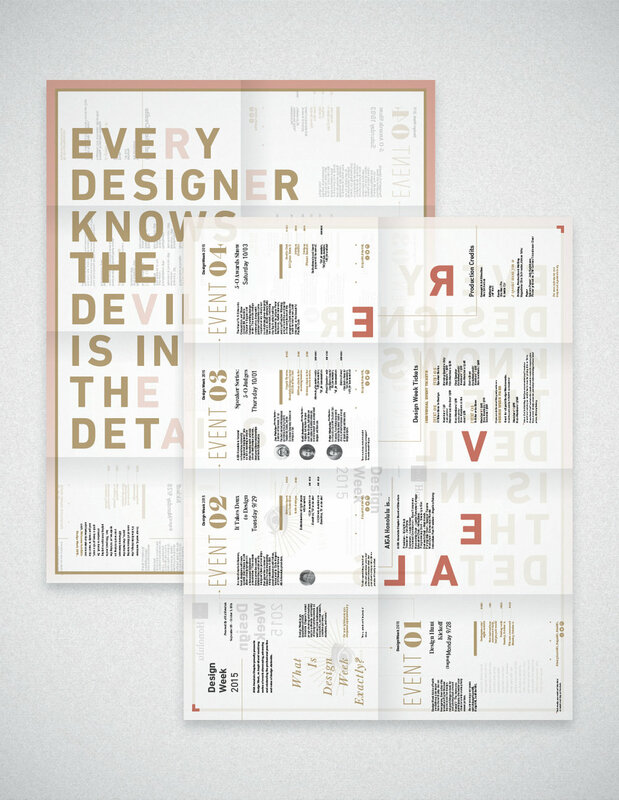 The Design Week poster was intended to clearly explain the event, why it’s important for creatives to support this event, and most of all, highlight the numerous parties, talk story sessions, scavenger hunts, and judges involved in Design Week and the subsequent awards show. 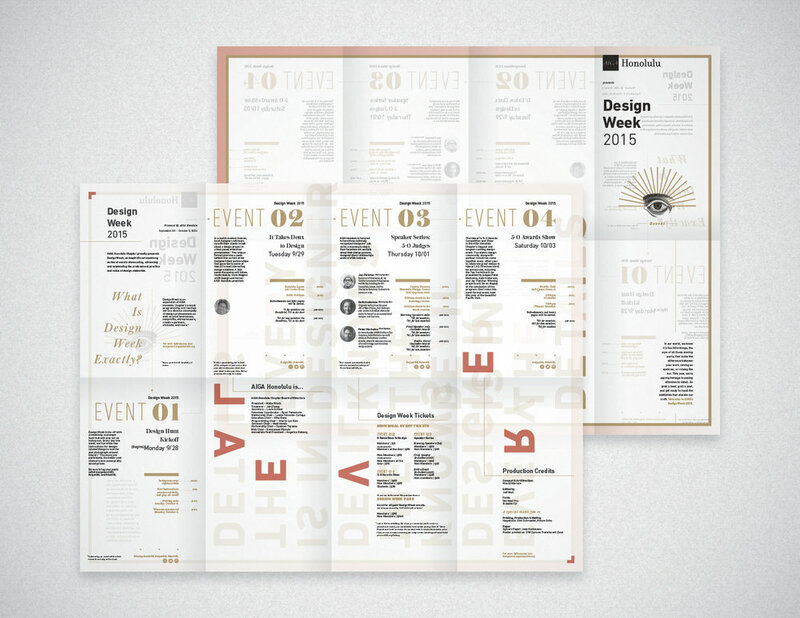 The challenge of presenting all of this information on a two-sided poster wasn’t easy. When working with this much information on a single poster, it can be easy to lose your audience. However, through a well-designed grid and type system, complimented by a “reveal” through the vellum, we were able to accomplish our goals. 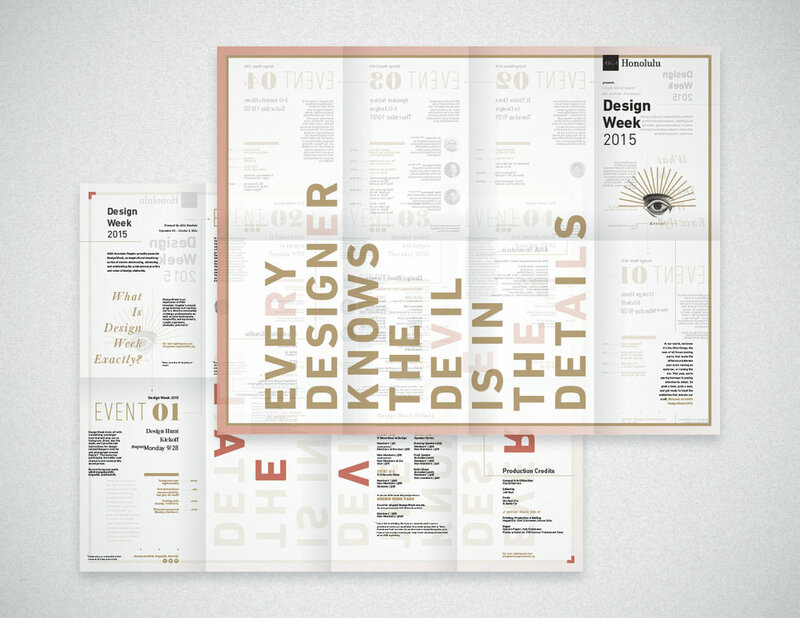 Taking our “Devil’s in the Details” mantra to heart, we emblazoned the opening section of the poster to reveal the tagline “Every Good Designer Knows the Devil is in the Details” and created a clean grid system that tastefully housed all of the events for Design Week, all the while injecting a bit of flavor into the copy where possible. To boot, we implemented a system that allowed vellum to hide and reveal some of the typography and design, literally playing up our mantra. The audience was not only able to clearly find and learn all there is to know about Design Week, but we were also able to convey our message in a way that allowed the design to shine on its on.